On this episode of retro gaming podcast Passion for Pixels, we're talking classic console launches, starting with the launch of the Nintendo NES in the US in 1985. We talk about figures and facts from launches spanning the NES to the Sega Dreamcast, reminisce about our memories of the different launches and talk about how the advertising impacted us in different ways. 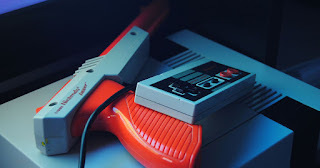 The videogame crash had put the industry in shambles, and Nintendo was trying to bring their console to an almost dead market when they released the NES in 1985. Did you know that it took more than a year from the NES was launched in New York until it was available nationwide - more than three years after the Japanese release of the Famicom? Console launches back then were not surrounded by the same amount of hype and propaganda as they are today. We talk about the launch of the Sega Master System and the Sega Genesis. Stian tells about his memories of the Super Nintendo launch as a kid in Norway, and how this put videogames on norwegian TV for the first time. We also talk about the launch of the Phillips CD-i and conclude that the console was actually way ahead of it's time, but very poorly marketed (and had terrible games). We talk about the launch of the Panasonic 3DO, the Sony Playstation, the Sega Saturn, the Nintendo 64 and the Sega Dreamcast as well. Did you know that the Sega Saturn was released in the US the same day that it was first shown to the American public at E3? Someone at Segas advertising department would probably get fired over that decision if it happened today.